Fort Muziris is just a 2-minute walk from the popular tourist attraction of the Chinese fishing nets, Saint Francis Church and Santa Cruz Basilica. It houses a restaurant and offers free Wi-Fi access in its public areas. 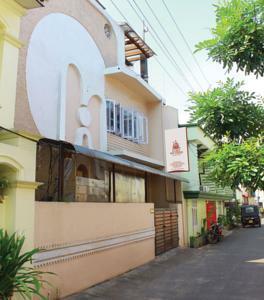 The property is 13 km from Ernakulam Junction Railway Station and 45 km from Cochin International Airport. Fitted with tiled flooring, air-conditioned rooms come with a wardrobe and a private bathroom with hot and cold water facilities. Muziris’ restaurant serves Indian dishes from the South and North parts of India, as well as European delights. Hotel staff can assist with luggage storage, tour arrangement or laundry services. Free public parking is available for guests who drive. Free! One child under 5 years stays free of charge when using existing beds. One older child or adult is charged INR 500 per night and person in an extra bed. Maximum capacity of extra beds in a room is 1. There is baby beds in a room is 0 capacity for cots in the room. Any type of extra bed or crib is upon request and needs to be confirmed by the hotel. Supplements will not be calculated automatically in the total costs and have to be paid separately in the hotel.